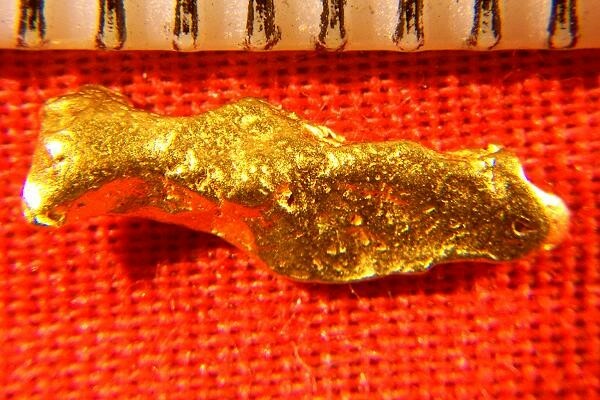 This gold nugget from Australia is really gorgeous. The color and texture is beautiful and it has a very beautiful and unique shape. Australian gold nuggets are a favorite of investors, collectors, and jewelers, because of their rarity and purity and great color. 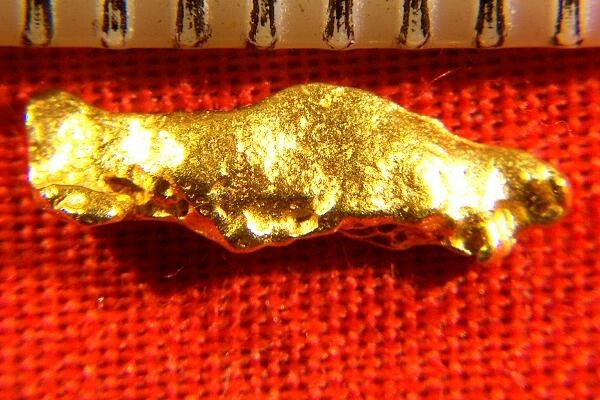 This incredible gold nugget weighs 8.1 Grains (0.53 Gram) and the size is 7/16" (11 mm) long. It comes with a certificate of authenticity.